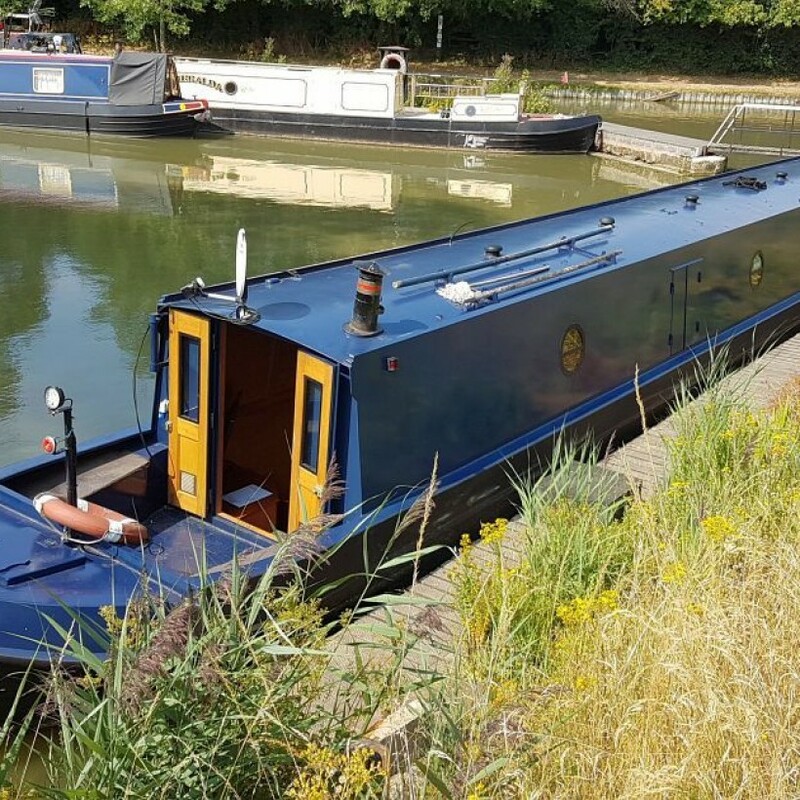 Happy new owner at Watford Locks! 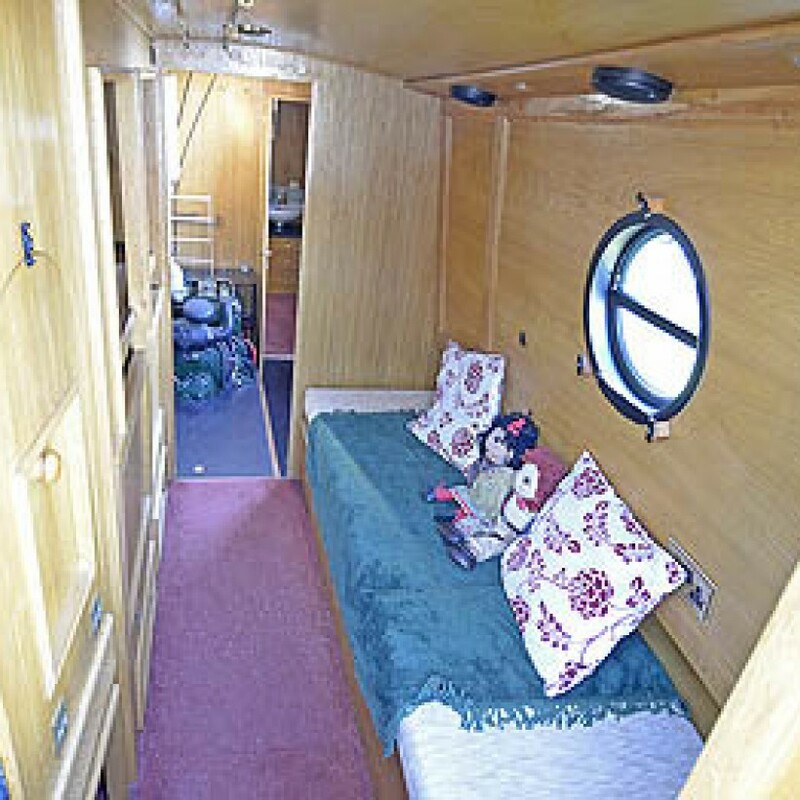 Saloon area - to become dinette and double cabin with your help? It says we "need 2 volunteers" but 1 person alone is welcome too, and we will be able to accommodate up to 4 at a time later in the year! 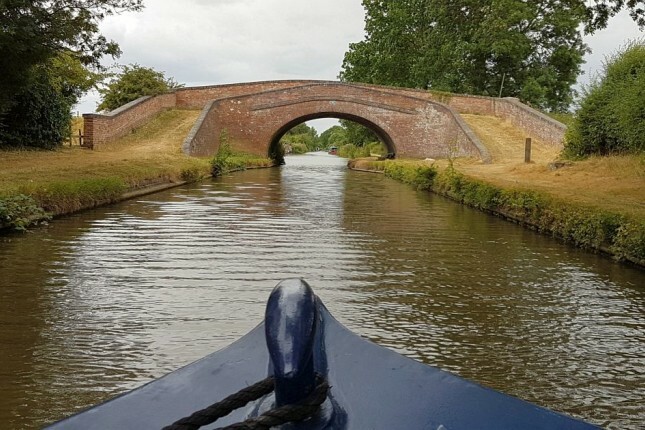 Free narrowboating experience on the canals and waterways of England, in exchange for your help with navigating and steering my 70 foot narrowboat, working the locks and lift bridges, and a little boat maintenance and decoration! 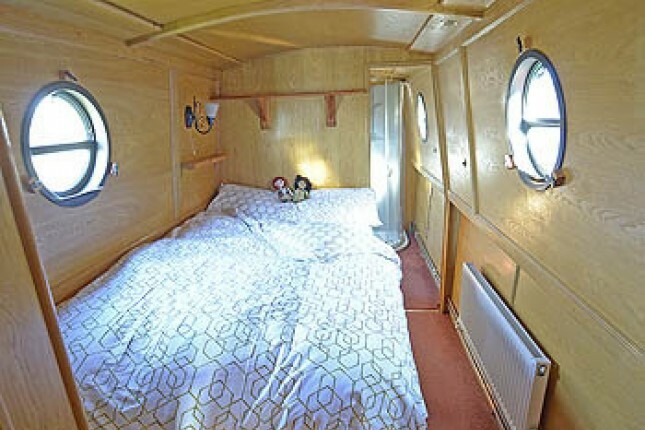 - Traditional boatman's cabin that sleeps 2. - Eventually (with your help?) there will be a dinette in the saloon that will make a convertible third double bedroom. 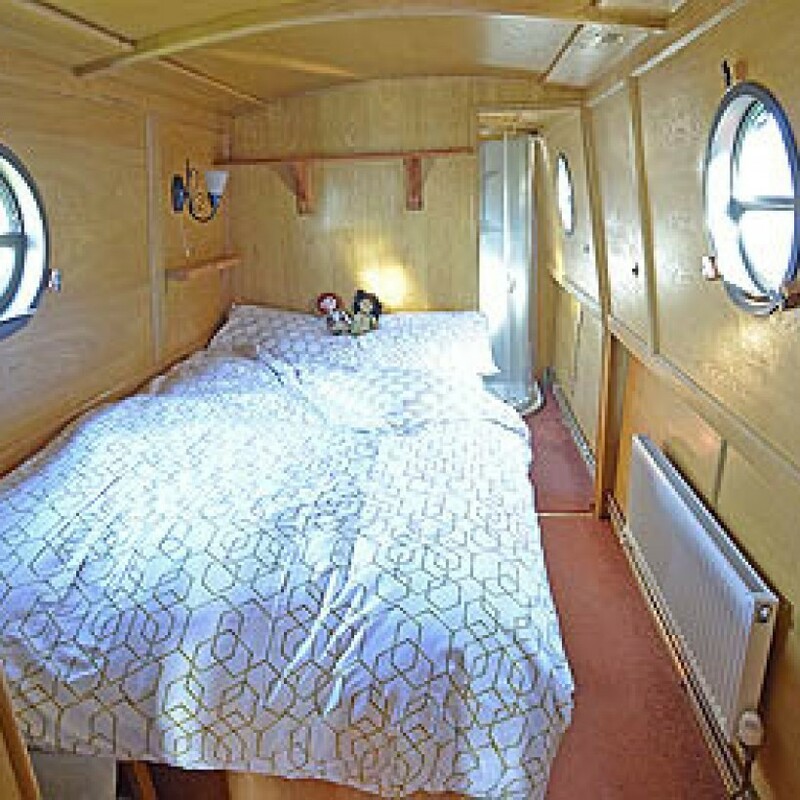 - Bathroom with large shower, toilet and hot water. 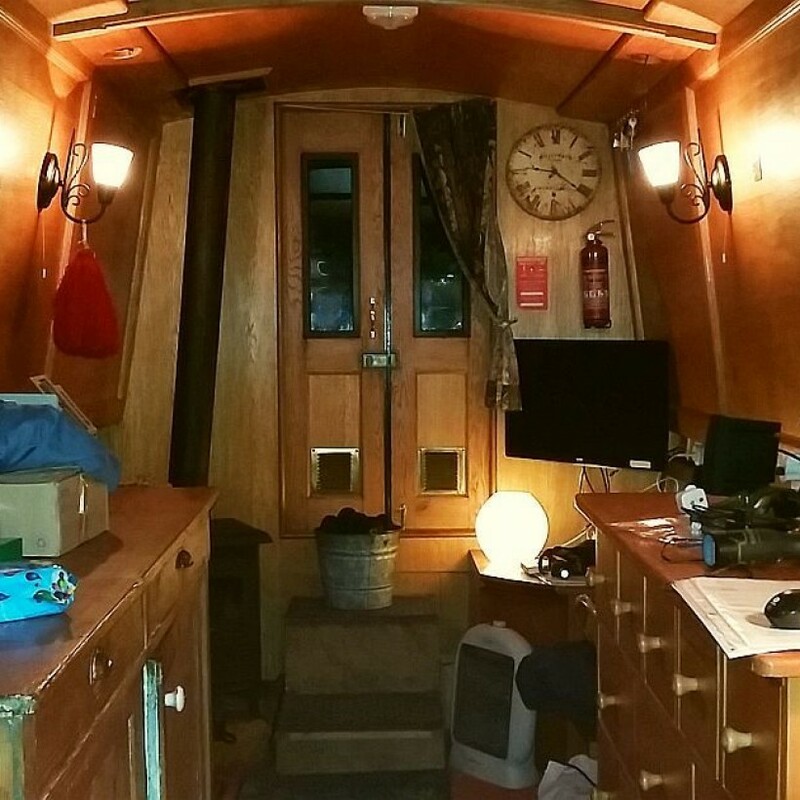 - 2 multi-fuel stoves + central heating for cold weather. - Full kitchen with fridge and gas cooker. - Dinette dining / seating for 6 in comfort (to be built). - Office with WiFi and printer. 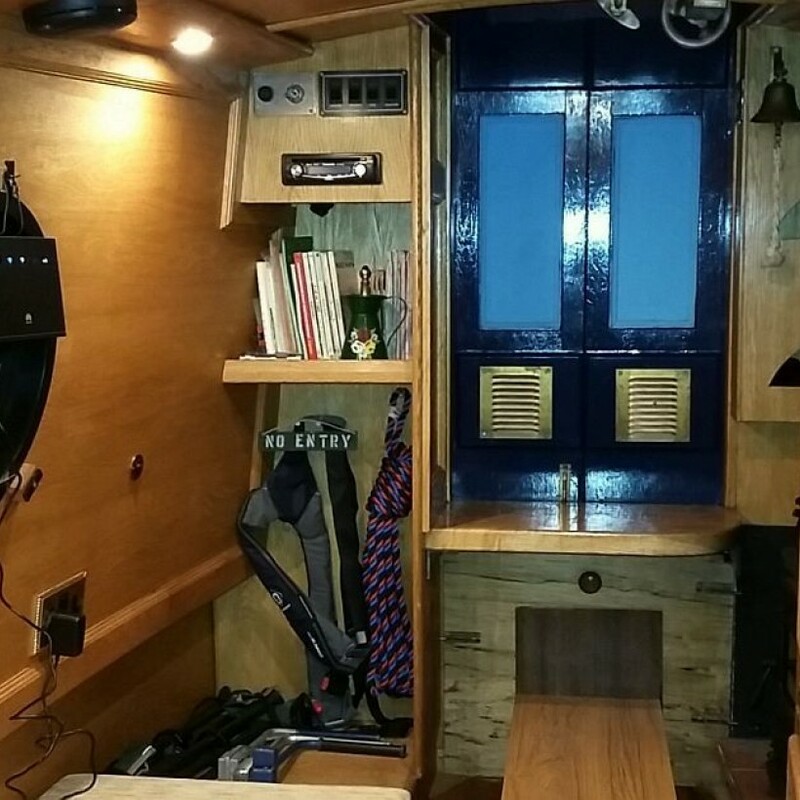 - 12 volt electrics with 240 volt inverter. - Diesel engine with traditional controls. 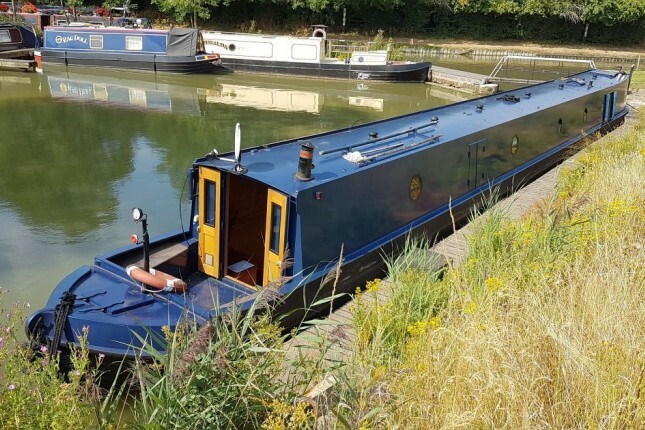 My boat is my home and I will be cruising her around England from her base at Napton near Rugby. 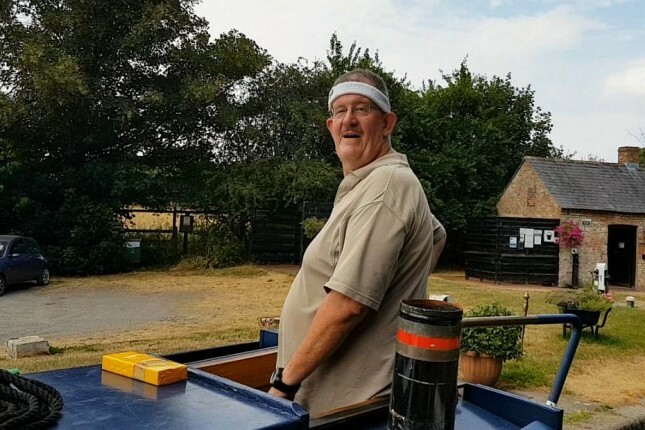 Single-handed cruising is difficult (although possible), so I am looking for people to help me navigate and drive the boat and work the locks and lift bridges. 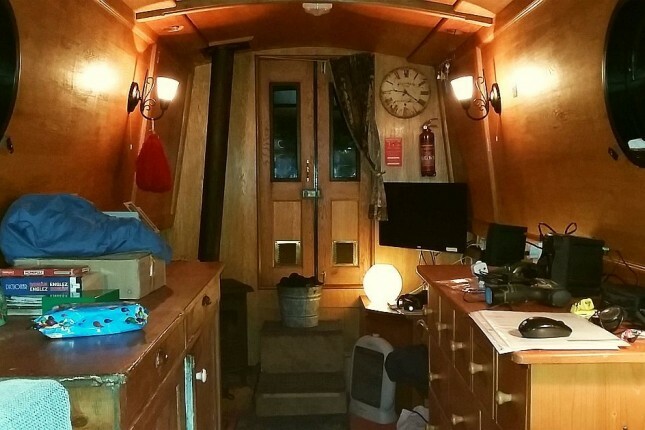 I also need some help with fitting my Romanian pine cupboards into Hetty's galley, and with building the new dinette dining and sleeping area. 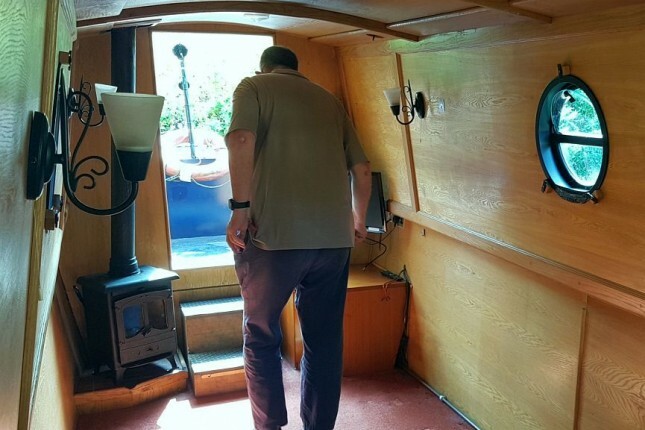 After that we will be out cruising and exploring, with just the usual boat maintenance, cleaning, and some painting to do. 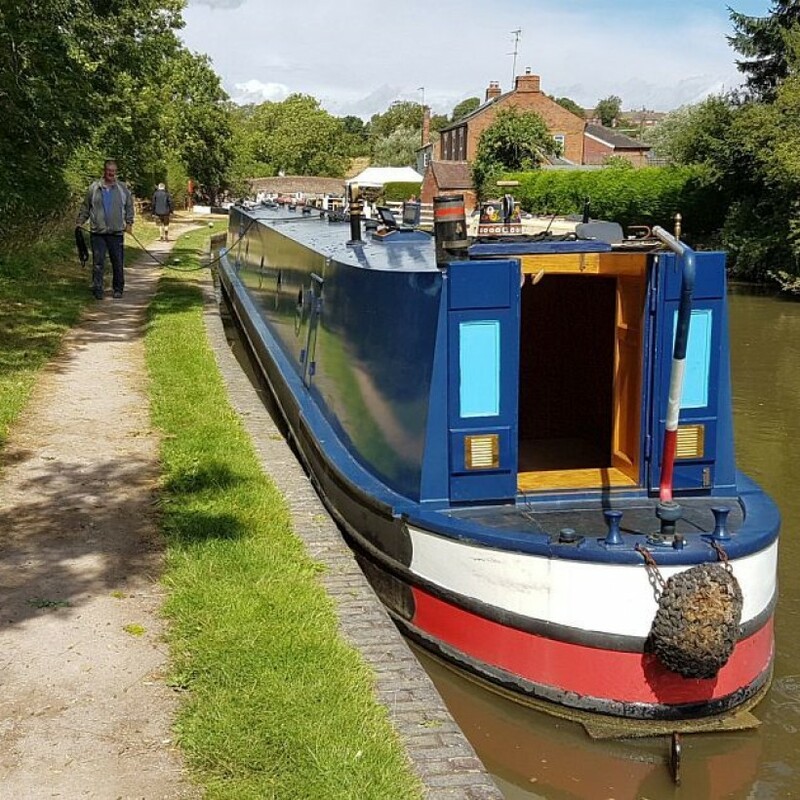 You will get a free holiday and tour of the English canals and waterways, in exchange for helping navigate and work the locks and bridges. It's quite active, but not all hard work - half the time you will be steering (driving) the boat while I work the locks and bridges! We will also be visiting local places on route and there will be time to watch nature, relax, chat, read, work on your English if you are not a native speaker (I also teach Romanian!). 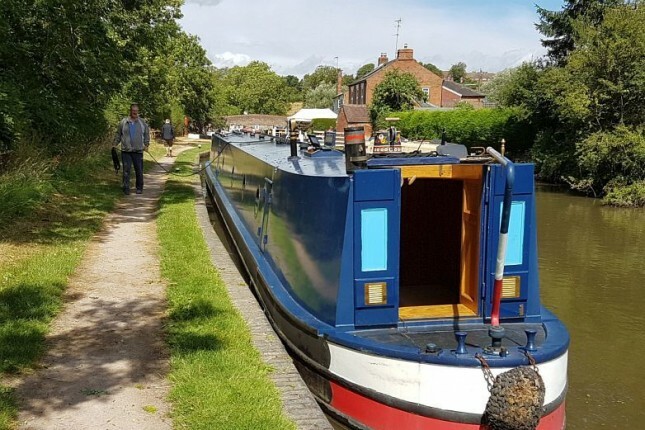 The ONLY costs to you will be transport to and from the start/finish points of your visit (if we start at the marina I can collect you by car), and sharing the cost of food if we eat out. 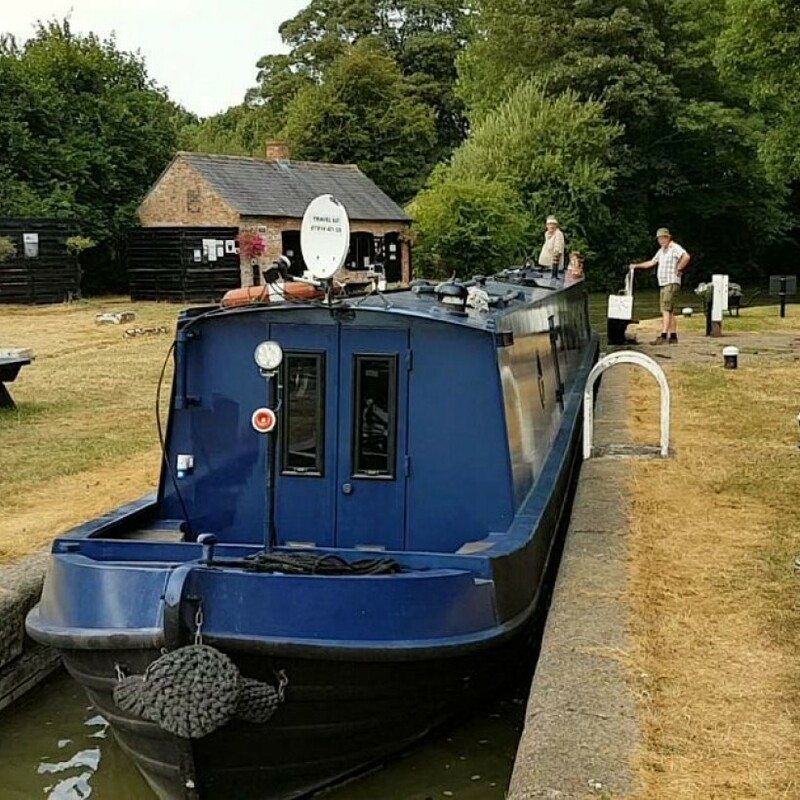 Sometimes we will buy food from local farms and shops and cook on board, at other times we will eat at canal-side pubs. 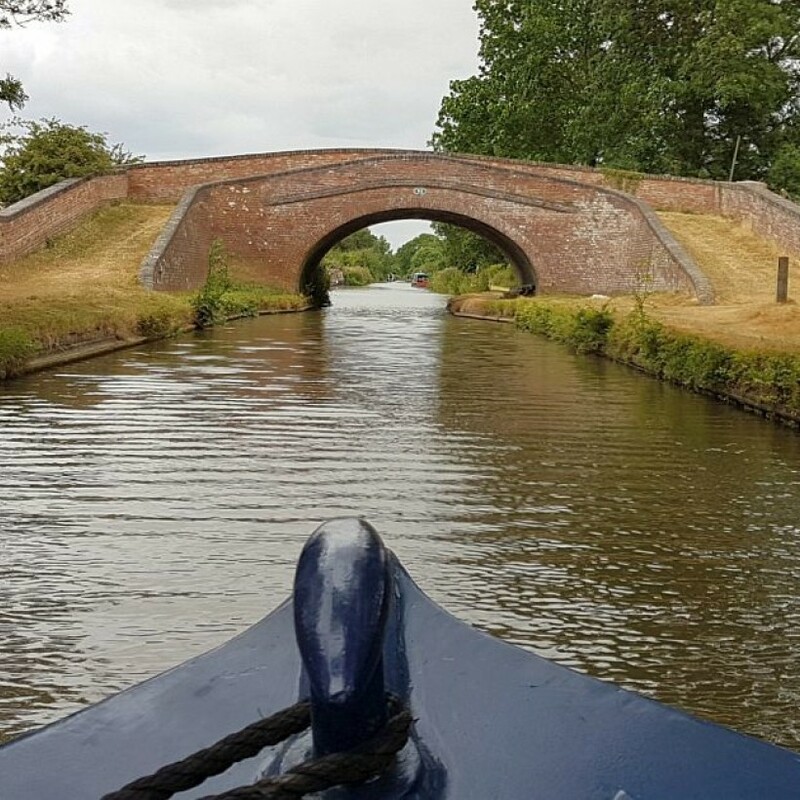 Discover the peace and tranquillity of rural England - join me on my narrowboat in my new life and adventure, exploring the English canals and waterways! I am Colin - an Englishman in my early 60's. I have recently returned to England after 24 years living and working in Romania, where I ran a small tour/travel operation for 21 years (see website). Before that I used to work with disabled children - in the UK and Romania. 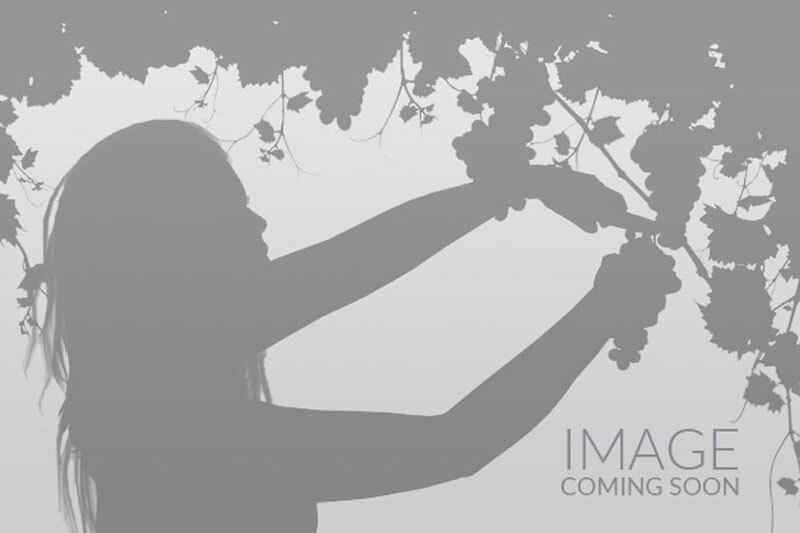 I am also a photographer, environmentalist, wildlife specialist and am writing a book about my life in Romania. I live alone and am a non-smoker (but if you smoke you can do so outside). I am anti-racist, non-sexist and not religious, but I respect other peoples' religious views. I eat mostly vegetarian food but am happy for you to cook meat if you wish! I have worked with children for many years and happily accept people with children. Sorry, no dogs or pets though! Recently I have retired from running my own small travel/tour operation in Romania. 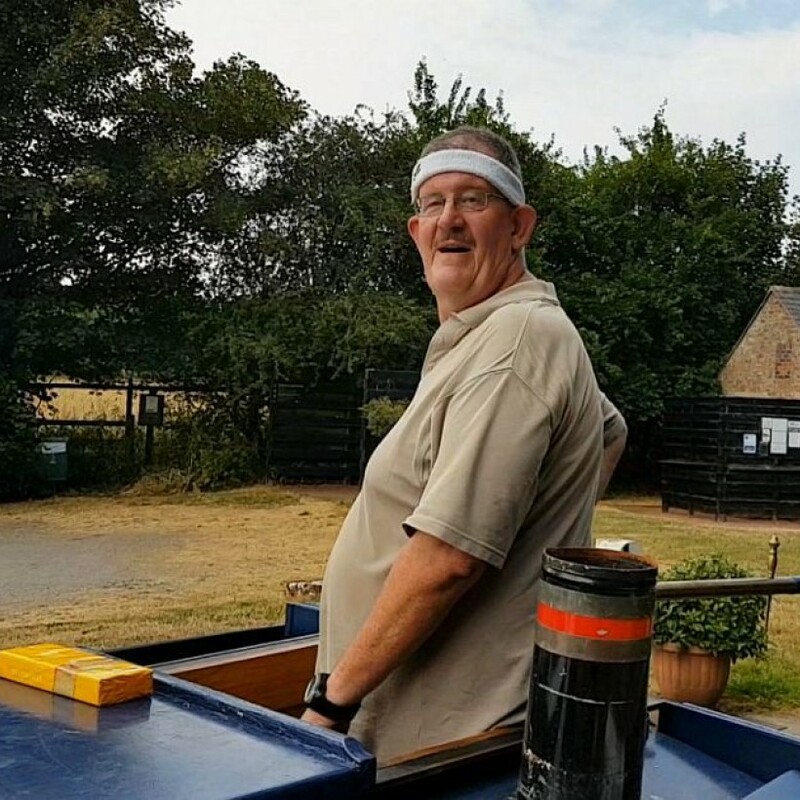 I offered tours primarily by Land Rover, taking people to unusual destinations not frequented by other tourists, looking at nature, birds, wildlife, rural culture, and steam trains! For the past 9 years I have been a HelpX host in Transylvania (Romania). You can see my Romanian HelpX profile at Host #9265. 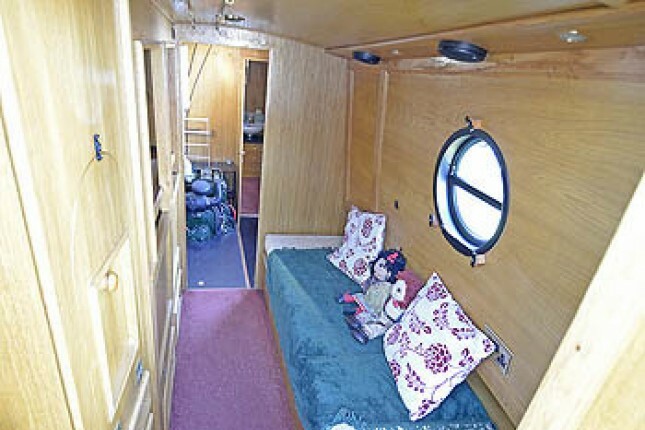 Apart from the owner Colin, Hetty can sleep up to 4 guests in 2 separate cabins. 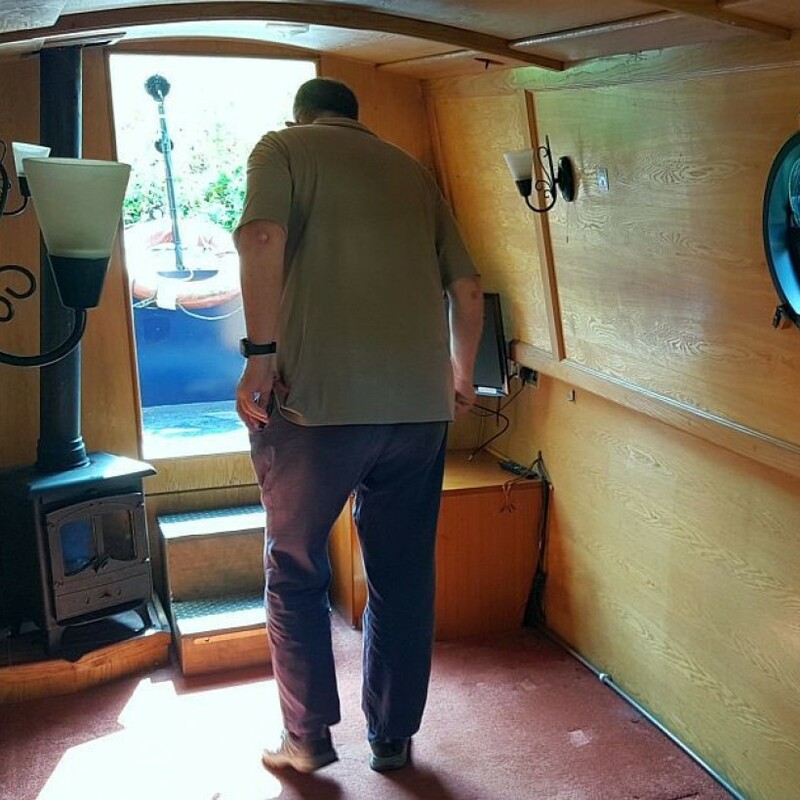 The most interesting of these is the boatman's cabin (fold-out double) at the stern, with it's own multi-fuel stove in cooler weather. 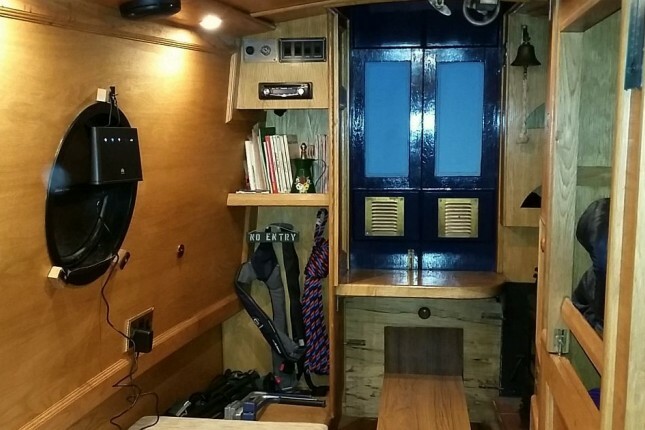 The other double is a fold-out dinette that serves as a sitting and dining area during the day. Bathroom facilities are shared (shower, chemical toilet, hot & cold water). Some of the time we will shop locally as we travel, cook and eat together on the boat. 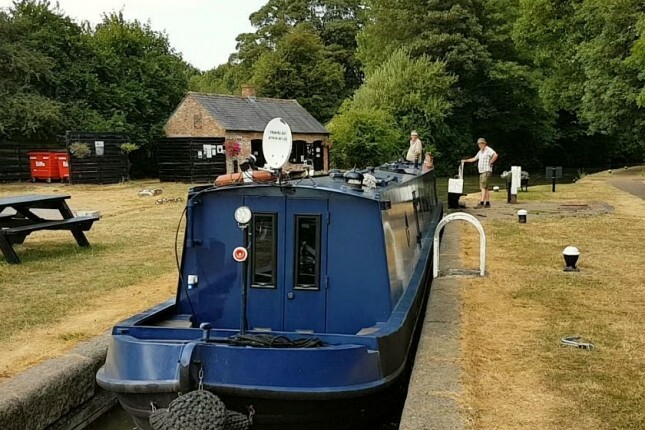 At other places (depending on your budget) we may eat at the excellent canal-side pubs (not expensive), where we may share the cost. No money at all other than maybe you contributing to the cost of your meals at canal-side pubs - if appropriate and depending on your budget.